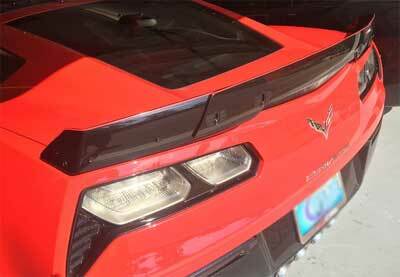 The C7 Corvette has a plethora of available options. The Z07 option enhances the boy racer look of the car with a high front side winglets and a center extension for the rear spoiler. 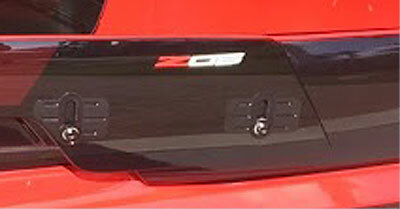 If your car was not blessed with the Z07 option take heart it is very easy to upgrade for a very minimal cost. The total upgrade package can be purchased on Ebay or Amazon for under $400. The factory will also sell you the upgrade parts for three times as much. The cheap knock offs fit and look just as good. The front winglets are very easy to replace a little patience and some basic garage tools is all that is required. 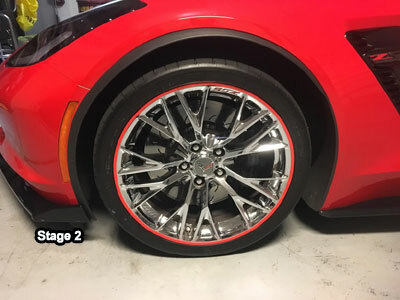 Start by jacking up the front of the car on the side you will be working on. A low profile race jack and a set of jacking pucks is required. 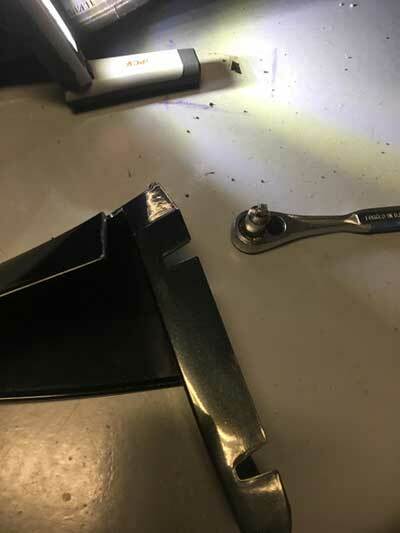 After getting the front end off the ground unscrew use a T20 torx head wrench to unscrew the front factory winglets. 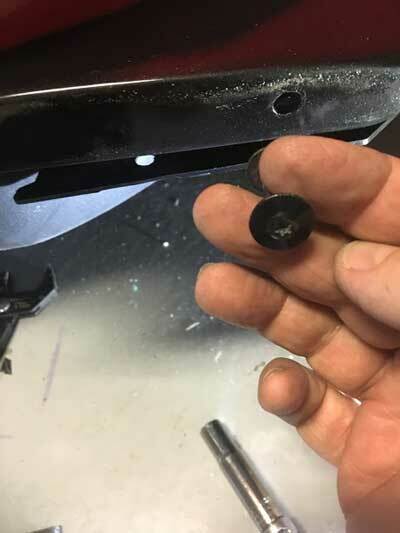 You will also have to remove some of the screws that secure the plastic shielding to gain access to the rear of the screws. 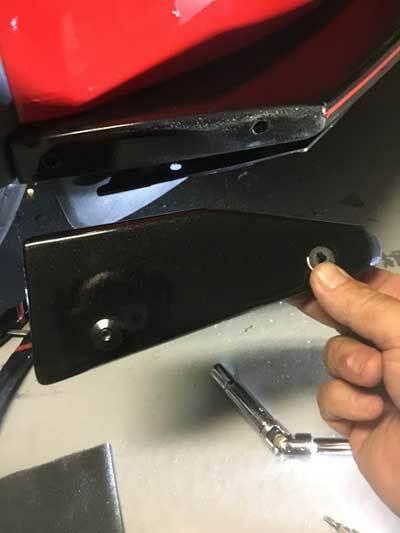 After removing the screws and the old winglets you will have to remove the three screws securing the plastic.wheel well shields. Slide the Stage 3 winglet into place and secure the two slots over the factory bolts. 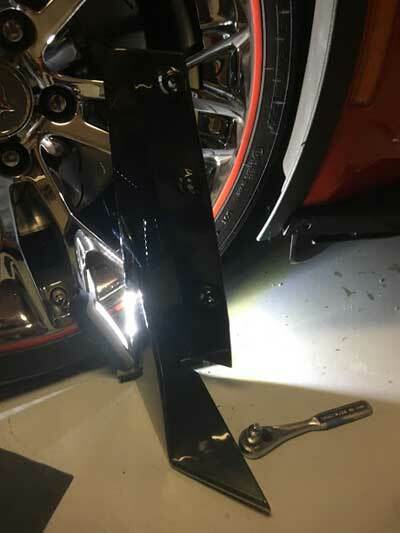 Secure the top of the new winglet over the wheel well shield using the three factory bolts. Button up the front shield and make sure the winglets are properly aligned. It sounds complicated but the installation is very intuitive once you get started. 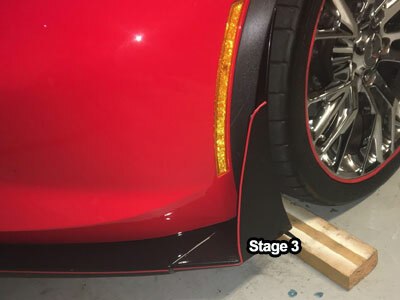 Installing the center section for the Stage 2 spoiler is much simpler. The only glitch in the process is securing four button head bolts that are 3/8 of an inch longer than the existing bolts. The cheapo center sections come without hardware. The longer bolts are available from GM at around $20 each, what a rip off. Fear not just go to your local ACE hardware stor and buy four black M6 x 1 x 18mm button head torx bolts and four small flat head washers. Total cost about three bucks. Using a T25 torx socket remove the factory bolts. 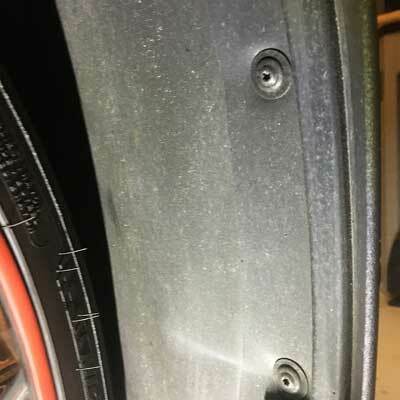 Insert the new Stage 3 "wicker bill"center section and secure it with the new bolts. 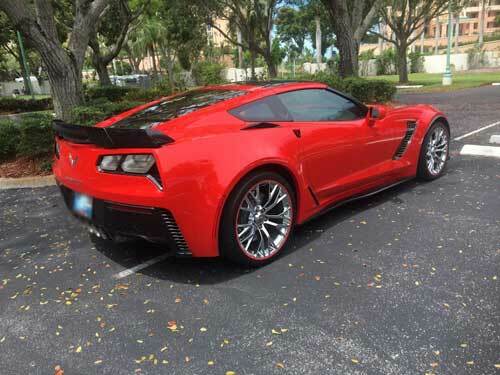 And just like that you now have a Corvette Z07(without the ceramic brake rotors).